System malfunction compressed gas sprays across the cockpit, winding trailing wires into a net of sparks. 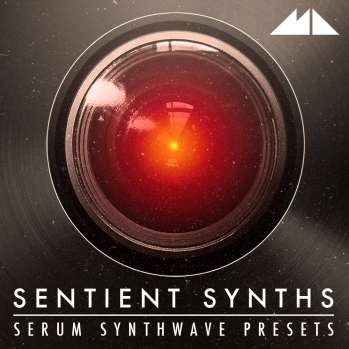 Your ship is spiralling through space, crashing towards the nearest star with increasing speed, as the red-hot glow of artificial intelligence flickers at the centre of the lens staring blankly at your unravelling fate - there's only one way to fight back and it's with our latest release, Sentient Synths - Serum Synthwave Preset! Unleash an army of 60 synth presets created from scratch inside Xfer Records' award-winning Serum plugin, designed to transform this soft synth into a retro-futurist machine bursting with analog-era style and character! From gigantic warbling basses, driven to saturation using filter feedback and vintage tube amp emulation, to monolithic, wandering pads, cataclysmic synth leads, blooming arps, scintillating plucks and menacing SFX, these patches deliver an entire space armada of vintage vibe and retro soul. With pitches set to wander, filters to yawn, chorus to widen and resonance to ring, we've taken full advantage of Serum's exemplary selection of analog-sampled waveforms, sound-sculpting devices and modulation options, crafting a full choice of sumptuous Synthwave sounds that possess minds of their own. Completing this release are 60 key & tempo-labelled MIDI files, one to accompany each preset. These note blocks are designed to showcase the patches to their full potential, as well as being fully editable song starters in their own right. • Requirements: Xfer Records Serum 1.113+ or higher.